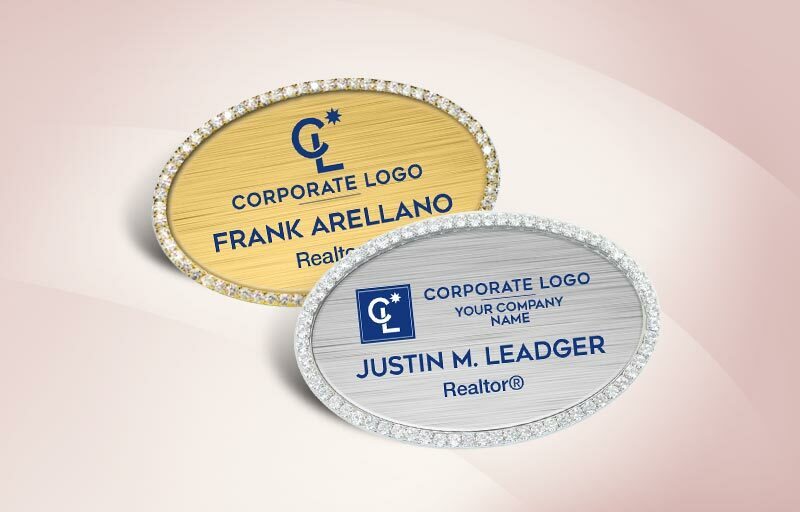 A Coldwell Banker name badge does double duty at every encounter. 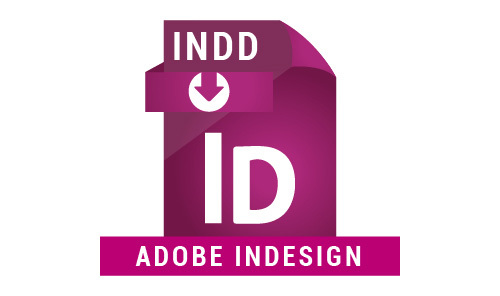 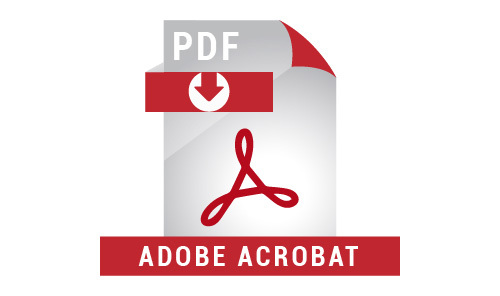 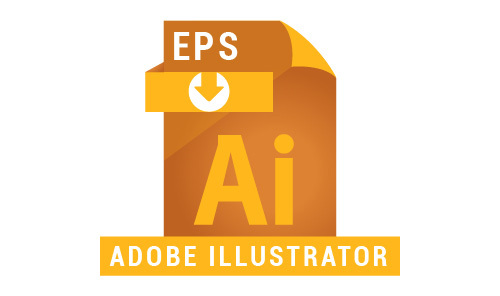 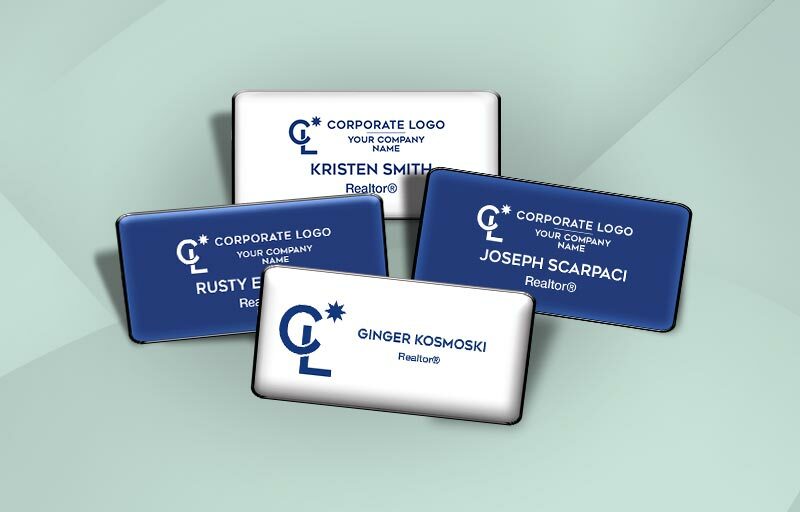 Not only does it help provide name recognition (and an easy introduction point at networking events), it also reassures prospects and clients that you’re a dedicated professional with expertise they can trust. 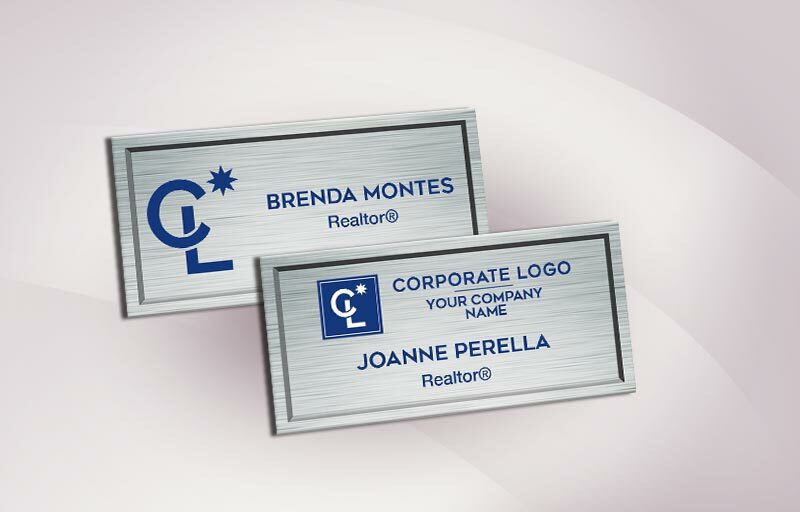 Our custom Coldwell Banker name tags offer great value in several durable, eye-catching designs that perfectly reflect your brand. 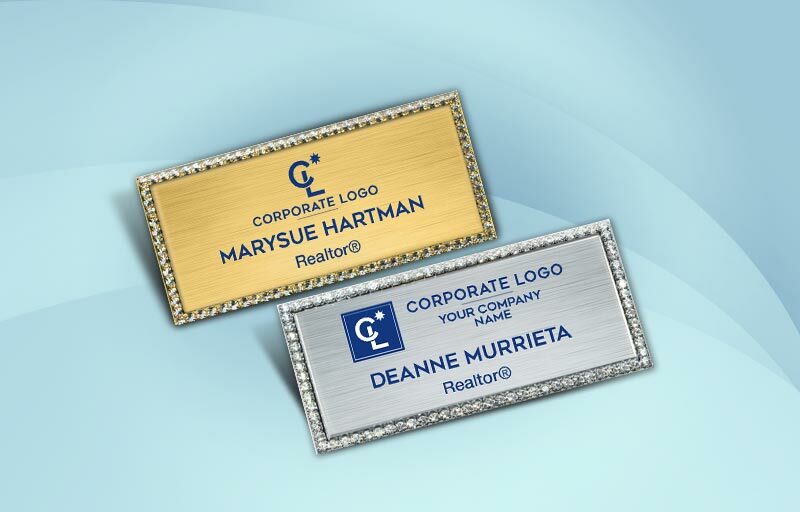 Agents looking for high-quality Coldwell Banker name badges have multiple options to choose from, including our domed oval- and rectangular-shaped ABS plastic badges, which are finished with scratch-proof polyurethane to keep them wearing beautifully for years to come, as well as our metallic name badge, which is also available with a full-color print -- and our prices can't be beat! 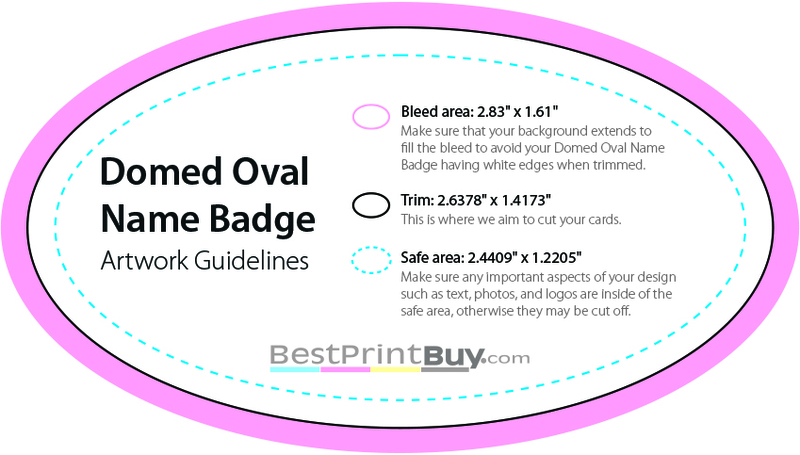 Choose your style and select from a traditional pin backing, a magnetic fastener, a swivel pin or a military-style tack fastener. 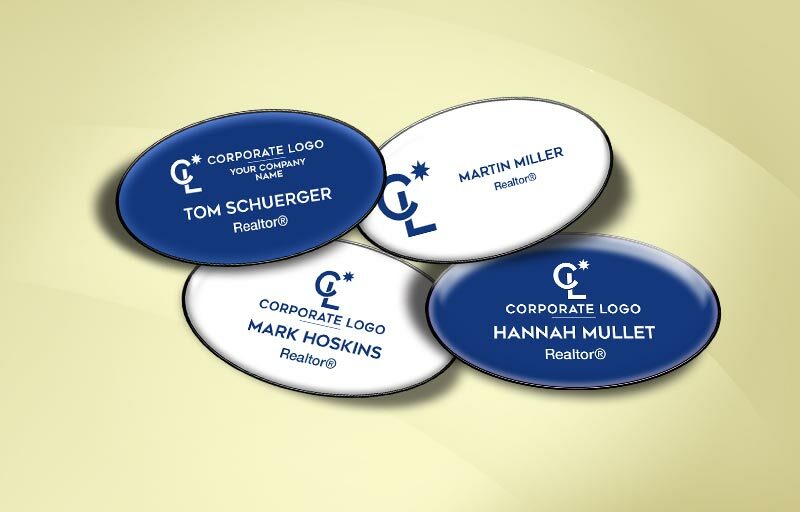 Your Coldwell Banker name badge comes in a variety of design options for each shape, and you can order more than one to change them with your mood!